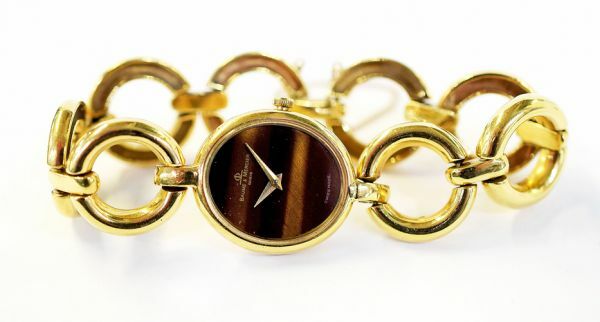 A beautiful 18kt yellow gold Baume & Mercier manual wind wristwatch featuring an oval tiger eye dial with gold gilt hour and minute hands. 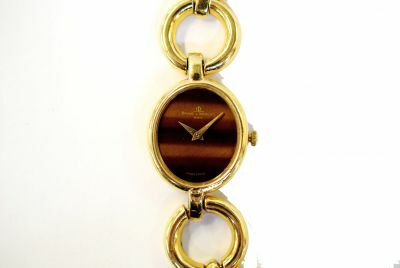 It is accompanied by a circular link bracelet and a fixed safety chain. It is approx. 7 inches (17.78cm) in length.